Back in September (2015), I was contacted by my Zeta Psi Fraternity brother – Tom Roerden. Tom is our fraternity historian and he was working on a project to organize the entire history of our organization, which dates back to 1847. Tom had been working on this project for the past few years, organizing and archiving over thousands of documents and images that was contained in over 70 boxes. This is the approved design of the timeline. 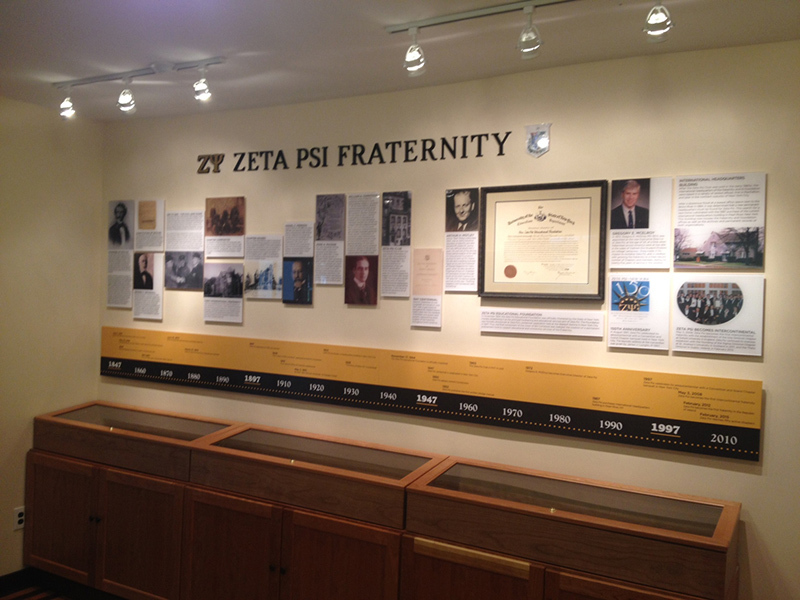 The next step was to create an education center inside the fraternity’s headquarters in Pearl River, NY. Another Zete had done the preliminary design work on the project but had to bow out when it came to take this project from concept to completion. So Tom called me in. Over the next 2 or 3 months, Tom and I met at HQ, and communicated via email and phone, along with another Zete brother – Bill Ruggles (who also happened to be a counselor at Camp Lenox while I was a camper there in the 70s, but that is a story for another day). We discussed the next steps, organized the images we wanted to include on the timeline, and worked out a budget. This past January, our work began in earnest. We prepped the images, laid out the timeline using those images, worked in the copy (which had to be revised and edited more than a few times), and continued to meet at HQ whenever Tom was in town (he lives in Syracuse). We finished up the design in early May, handed the job off to our signage vendor to handle production, and installed all the work right before Memorial Day. On June 12th, the James Ljunglin Education Center was officially dedicated. 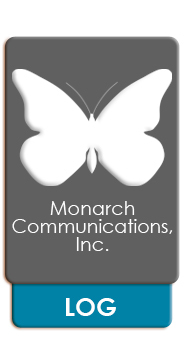 It was a great project to work with, certainly something a bit different than what many of Monarch's typical clients come to us for but the project came out great…if I do say so myself. The finished production, part of the James J. Ljunglin Education Center.